Light yellow in color and strong-smelling, some claim ginger to be the “wonder spice” for all of its health benefits. If you’re feeling nauseous or have an upset stomach, ginger can help get rid of these nuisances. From poor digestion to even sore joints, chew on a bit or add some to a hot drink because ginger has the nutritional properties that can help. Turmeric is a natural anti-inflammatory used widely in ayurvedic medicine. It also helps boost your immune system, so this is a good spice to use if you feel a cold coming on. Paprika is packed with healthy nutrients that are good for our bodies, and especially vitamin A. One tablespoon of this red-colored spice contains more than 100 percent of the daily intake requirement. As the vitamin A helps to improve eyesight, paprika also gives your body extra iron to help those bones stay strong. Cayenne is rich in capsaicin. The pepper also contains vitamin C, vitamin B6, vitamin E, potassium, manganese, and flavonoids, which give the chili its antioxidant properties. Cumin is pungent and strong, and acts as a great salt substitute. With its low levels of sodium, using this instead of extra salt can help reduce blood pressure, all while adding a delicious flavor to meals. Cumin is also a good source of vitamin B, which helps to improve sleep. Aniseed is high in vitamins such as folates, niacin, riboflavin, vitamin A, and vitamin C. It is also an important source of potassium, calcium, iron, magnesium, phosphorus, zinc, manganese and selenium. In ancient cultures, saffron was used to relieve stomach aches and kidney stones and was also used as an agent in improving the circulation of blood. Saffron contains a number of carotenoids which are believed to be largely responsible for a number of saffron’s health benefits, including inhibiting skin tumors, improving arthritis and improving eye and vision health. Other benefits are the treatment of asthma, menstrual discomfort, depression, atherosclerosis, whooping-cough, and many other health problems. Lightly beat the eggs and mix with coconut oil and maple syrup in a large bowl. Add dry ingredients and combine well making sure there is no lumps. Pour into a muffin tin and bake in the preheated oven (180) for 30 minutes. Serve with a thick Greek yogurt and a drizzle of honey. 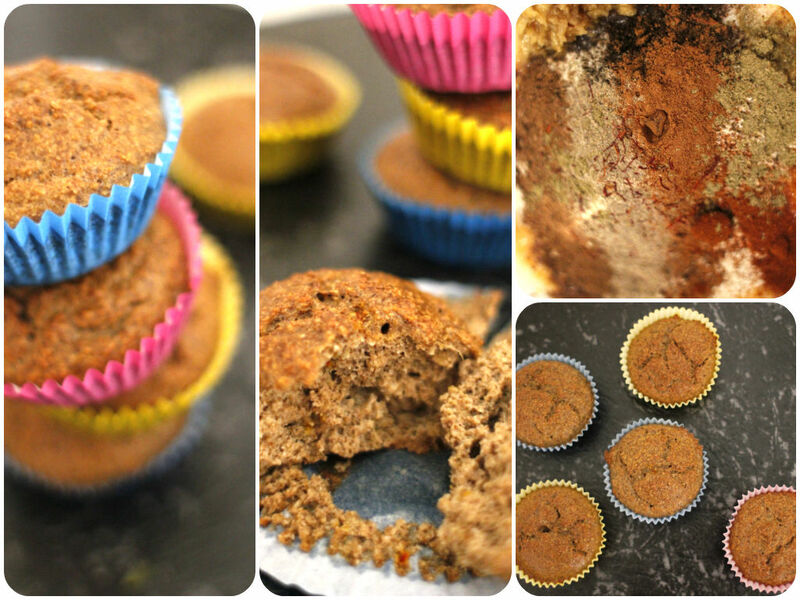 It is not sweet muffins after all, so add more of your favorite sweetener if you like.